Dothraki is a fictional language constructed for the HBO television series Game of Thrones. 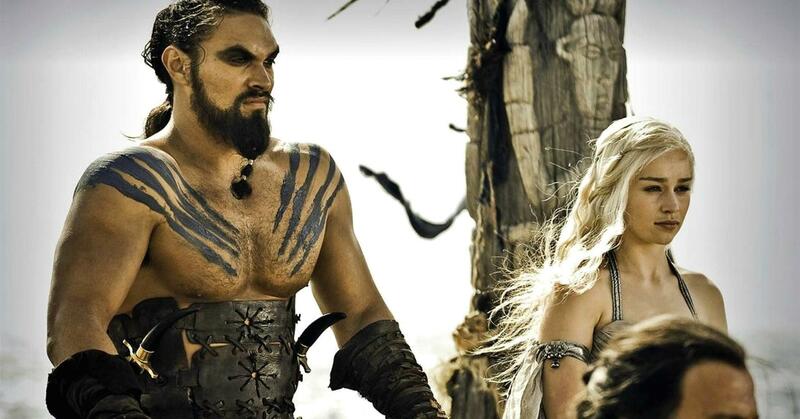 In it's first season, the dothraki were led by GOT power couple Khal Drogo (Jason Momoa) and Daenerys Targaryen (Emilia Clarke). Studies have shown that learning a second language has multiple benefits for intelligence, memory, and concentration. But who wants to learn Spanish or Chinese? Everyone speaks that. You want a real challenge? Try a constructed language like Klingon or Dothraki. HPR’s Ku’uwehi Hiraishi delves into the world of made-up languages with a local linguist attempting to construct his own. Geoffrey Taylor can say “aloha” in more than ten languages – English, German, French, Spanish – you name it, the Hawai’i Kai linguist studied it. But today, he greets me in the language of the nomadic inhabitants of the Dothraki Sea. 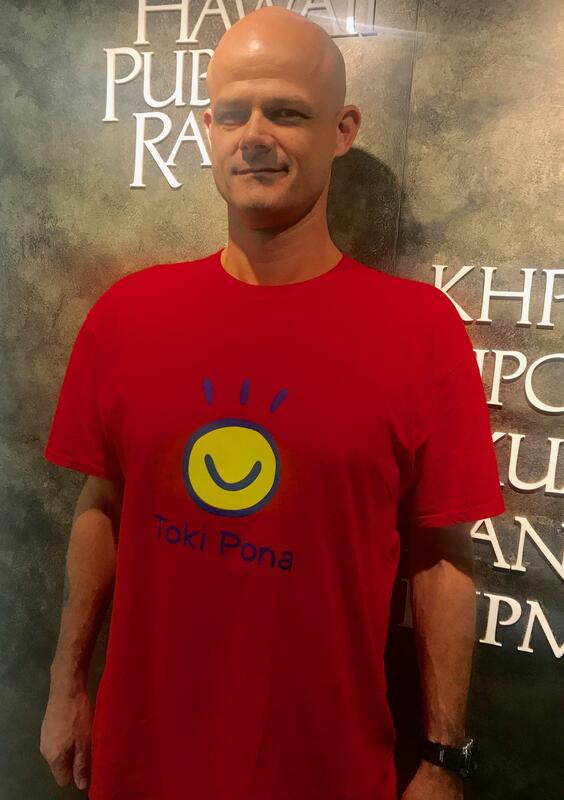 Linguist Geoffrey Taylor sports some toki pona gear. 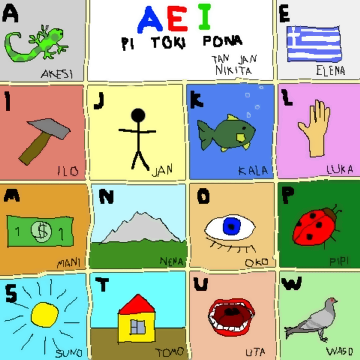 Toki pona is one of the easiest constructed languages to learn with only 120 words and a simple vocabulary. Taylor hopes to invent a similar conlang of his own. Dothraki may be familiar to the ears of all you Game of Thrones fans, but the more than 3,000 words that make up this fictional language were invented only six years ago. It was created by linguist David Peterson, who Taylor calls the king of constructed languages. Constructed languages or conlangs for short have been around for centuries – from Tolkien’s Elvish to Avatar’s Navi and Star Trek’s Klingon language. But learning a conlang didn’t seem all that practical to Taylor. 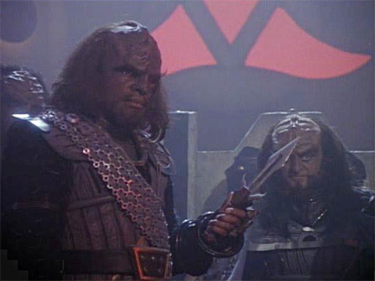 Klingons Worf and Gowron in an episode of Star Trek: The Next Generation. The language of the fictional extraterrestrial humanoids from Star Trek is one of the most popular constructed languages boasting a 5,000-word vocabulary and its own Klingon Language Institute. He began to deconstruct the world view he’s built around the languages he speaks and dove deeper into the world created by conlangs. Taylor is sharing his love of conlanging at this year’s Mensa Hawai’i Regional Gathering, in hopes of finding other conlangers in Hawai’i. The pronunciation guide for Toki Puna, a constructed language so simple, linguists like Taylor say it could profoundly change the way we communicate. Taylor is also working on a conlang of his own that is inspired by the Taoism-based language toki pona. Toki pona was created in 2001 with only 120 words, very simple grammar, and a complete enough vocabulary to create full conversations. He says it may be far-fetched, but a simple conlang like this could be a game changer in the world of linguistics. One of the most popular classes in Hawaii these days is not just for school children. Chinese language courses are increasing … both for adults and for kids. HPR’s Molly Solomon reports. 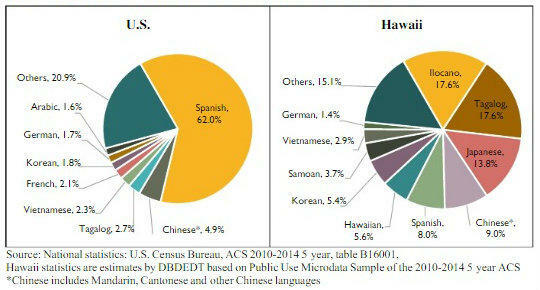 About one in four residents in Hawai‘i speak a language other than English at home. That’s according to a new report by the Department of Business, Economic Development and Tourism. And as HPR’s Molly Solomon reports, it offers a different look into the state’s diverse community. The report shows more than 130 languages are spoken across the islands. The top three include Ilocano, Tagalog, and Japanese. Hawaii is not the only place where the use of pidgin gets debated. In Singapore, the use of language is the topic of an annual government campaign. HPR’s Bill Dorman has more in today’s Asia Minute.